Wee MacNessie wants to be a pirate. His friends aren't so sure that's a good idea though! 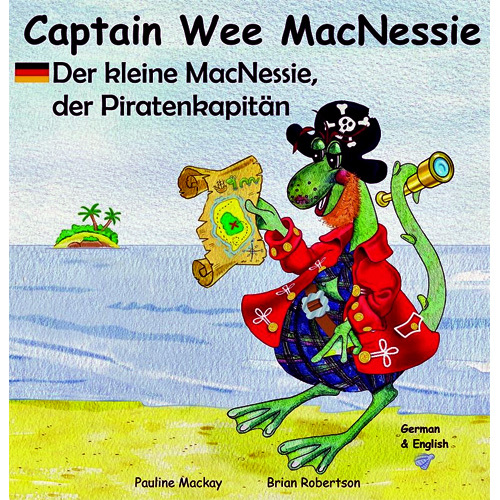 Captain Wee MacNessie / Der kleine MacNessie der Piratenkapitän is the fourth story in the Wee MacNessie series. It is an easy-to-read dual language German / English edition, that has been especially developed for young children learning either German or English as a foreign language. It is a short story, featuring many first language phrases.